When you think about heading into the kitchen to whip up a meal for yourself and your family, you obviously probably think about doing it inside of the house. However, outdoor kitchens are becoming more and more popular. Even though you might think that only those with glamorous houses set up outdoor kitchens, this is not the case at all. These are a few signs that this may be something that you should think about adding to your property. Sometimes, no matter how hard you try, it might seem as if you just can’t keep your kitchen neat and clean. Just as soon as you get finished with washing the dishes and cleaning the rest of the kitchen, it might seem like your family comes in behind you to make a new mess. With an outdoor kitchen, however, you do not have to worry about having a huge mess inside the house. Cleaning things like your grill can be surprisingly easy and fast, and if there is a spill somewhere outside, you can just clean it up by spraying it off with your water hose. All of this can help you cut down on the amount of time that you spend cleaning up the mess inside of your home, allowing you to have a little more time to relax and enjoy yourself in the evenings. Grilled food is healthier than food that is prepared with a lot of other preparation methods. Even though going on a diet and striving to eat healthier food might not seem like very much fun, the truth is that grilled food can be way healthier and can taste great, too. If you have a nice outdoor kitchen to work in, you might find yourself more likely to prepare healthy meals. This can be better for your overall health and your waistline as well. If you have a swimming pool or a polite conversation area set up outdoors, you might love inviting people over to hang out outside. Outdoor entertaining can be a lot of fun for you and your guests, but having to drag food from inside the house can be a major pain. With your outdoor kitchen, however, you can make things even easier and more fun when you’re entertaining outdoors in your Lancaster County Backyard. You might just find that your home will become the new place for everyone to go when they want to gather for a nice dinner, cocktails and an enjoyable time. 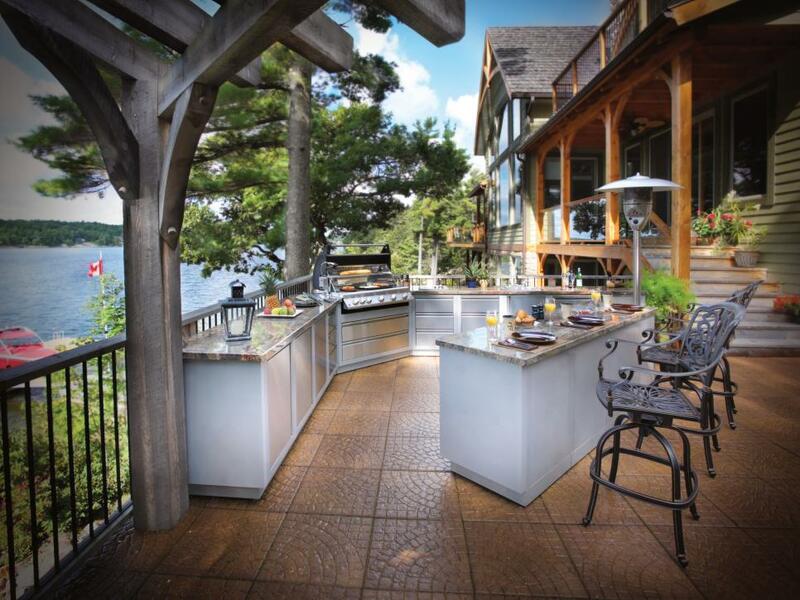 A lot of people never even think about building an outdoor kitchen as an added part of their outdoor living space. However, these are three signs that this could be something for you to consider. If you do some price shopping, you might even find that you can make this terrific addition to your backyard without having to spend as much as you think.